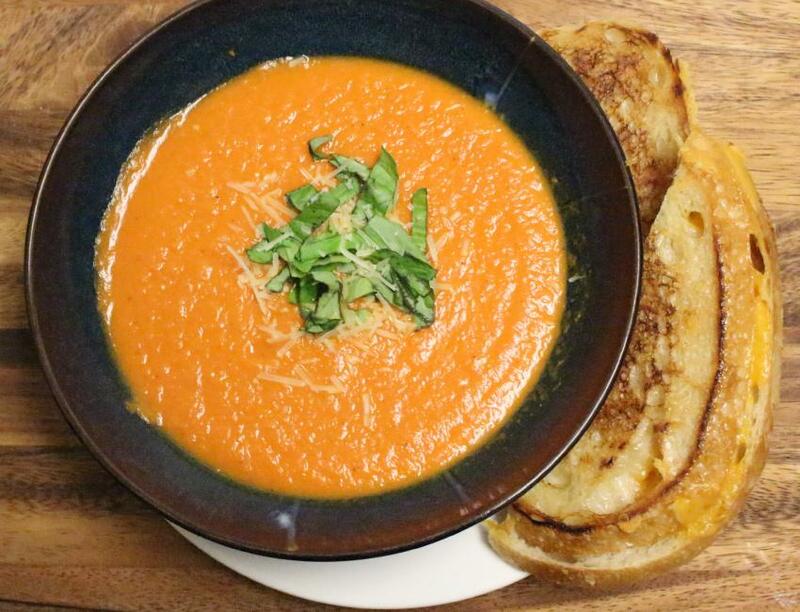 One of our favorite classic food combinations is creamy tomato soup with a side of crispy grilled cheese – check out how we made it marulicious! Melt butter over medium heat in a large saucepan/pot. Add onion wedges, can of tomatoes with their juices, rice vinegar and salt to taste. Bring to a boil and simmer for 15-20 minutes. Once the soup is ready, blend everything together. Then garnish with basil and parmesan and serve on its own or with your favorite grilled cheese, enjoy!